It’s grown every year, and is becoming a summertime staple of the Grand Valley. 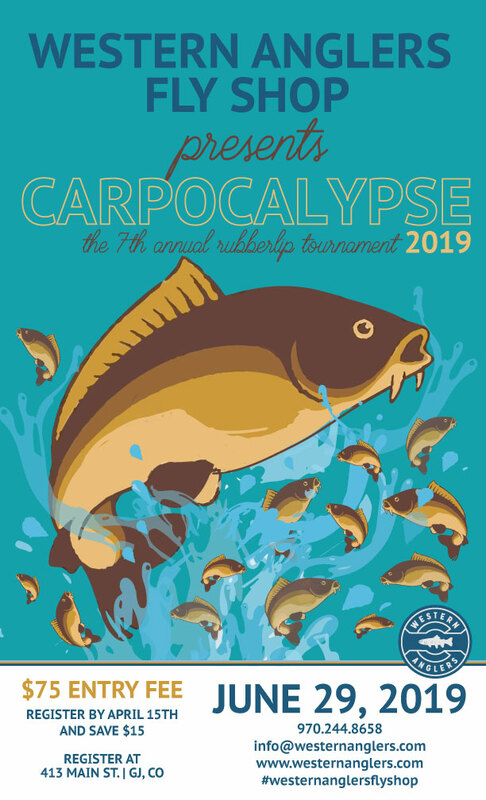 Come join us for what is sure to be another outstanding tournament celebrating all things Carp. If you need flies, information, or instruction on how to catch your first rubberlip, come see us. Sharpen up your stalking skills and get ready for Carpocalypse 2019. ARE YOUR READY FOR 2019 CARPOCALYPSE?!?! The date is set for June 29th, 2019! The early bird gets the worm.. Or is it the early angler gets the fish? Either way, if you register before April 15th, save money!